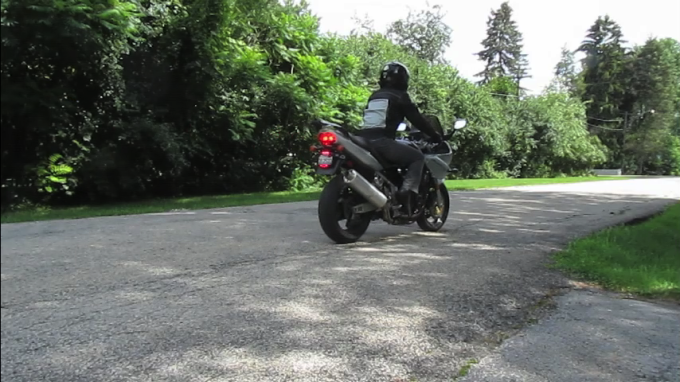 Home Motorcycle Modification Lighting Vololights: Engine Braking Made Safer! 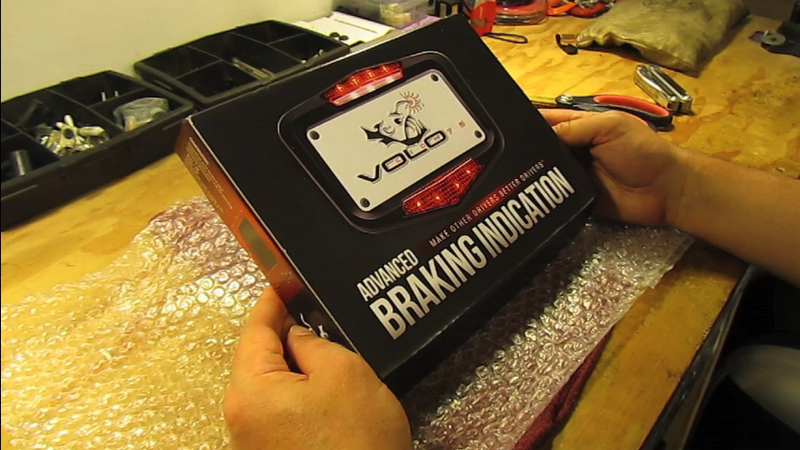 Vololights: Engine Braking Made Safer! 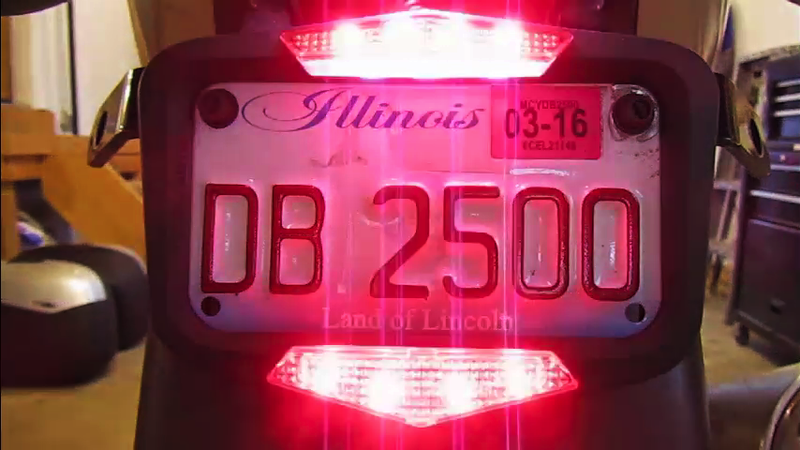 Vololights are an easy to install, third party LED brake alert system that fits seamlessly around your motorcycle’s license plate. It’s core function is to make riders more visible by detecting all types of braking functions. This includes both lever-activated and engine braking! When co-founder and CEO Faizal Ali (Vecto Labs, LLC) submitted this product for testing and review, my imagination ran wild with ideas as to how it operates. Perhaps it’s patented circuitry detects the most intricate and subtle shifts in voltage/wattage/amperage. There’s also the possibility that recalled nanobots from Google’s TiSP program are being re-purposed for motorcycle use, however unlikely. In truth, a more sensible conclusion requires that I think on it while installing their product. Inside of it’s packaging I find a pre-wired, LED equipped license plate bracket, two posi-tap wire connectors and installation instructions with plainly informative “comic book” visuals. The wording is sensible enough, providing a clear mental picture of what’s to be done. The short version is that you remove your license plate, seal the Vololights product around it and reinstall everything as you would normally. Two (positive/negative) wires are then fed to a constant power source using the included posi-tap connectors. Finding that my installation initially rested on my Bandit 1200’s fender, I’m using rubber washers to better separate the two. Once in position, I’m faced with two wiring options. Either I use their pre-connected wire taps with a constant power source (license plate illumination line, for example) or I can solder in more wire/connectors for use with my auxiliary power relay. Knowing that I still have one open outlet on said relay makes the decision easy. Knowing that a key-operated, “always on” power source is the only requirement, the electrical engineering of this Kickstarter project finally makes sense. Vololights have some form of level or piezo/pressure meter built into their circuitry that detects a predetermined amount of brake force. This requires no electrical lever signals or “spark interval” data. Calibration and sensitivity adjustment are a breeze, though for some it might require two people. To calibrate, one person must hold the bike steady and upright (without sitting on it), bypassing the side/center stands. With the bike fully centered, another person uses a magnet to traverse through the appropriate number of blinks, balancing it’s performance and fine tuning to suit. All in all, however I’m of the opinion that this is a stellar product that really hits the mark. My overall impression is that when properly adjusted, they’re braking (get it?) 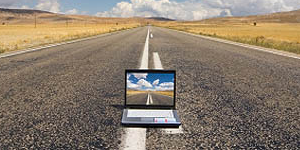 new ground in motorcycle safety. On a scale of one to ten, I’m throwing it a simple and solid nine. This being our very first review submission, I want to thank Mr. Ali specifically for his trust and interest in what we have to say regarding his product. If you’d like for us to review your sport touring motorcycle invention, our address is located to the bottom left of this page. What Products Do You Incorporate For Greater Motorcycle Safety? There are a lot of well designed inventions on the market. Which do you prefer most? What do you like about it and why? Your input is invited. Post an article! When I received my Vololights, I was immediately impressed with the high quality of the packaging and the light’s fit and finish. The comic styled instructions were easy to follow. 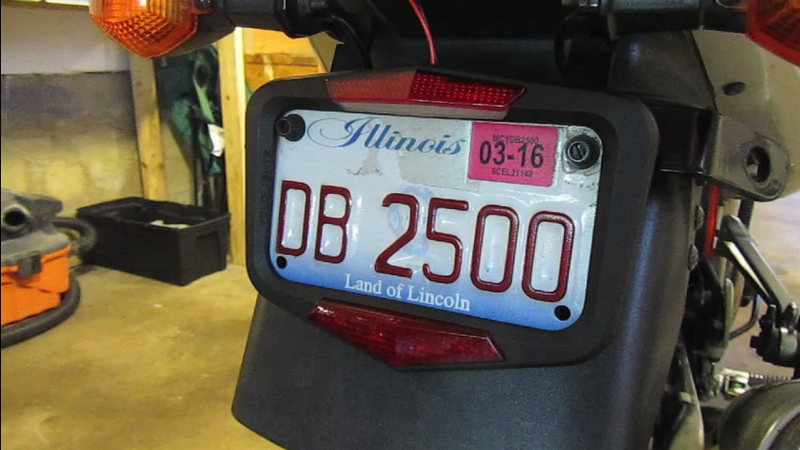 I had to remove the American plate hanger for the unit to fit my ’94 Honda CB1000. Once out of the way, it bolted right up to the Euro-plate spot and looked much sleeker. Since Vololights replace your plate light, it’s a great option for riders who have modified the rear fender for aesthetics but still want to be seen. It was easily calibrated and a quick ride with a friend confirmed it was working as advertised. I feel much safer knowing vehicles behind me are alerted when I’m slowing but not on the break (happens often when riding in slow traffic). Two thumbs up on a great product! As a seasoned rider and long distance passenger, I take comfort in knowing I’m more visible to traffic behind me. The installation process is seamless and intuitive thanks to well conveyed instructions. It’s efficiently thought out products such as this which aid in making motorcycling more safe!